"Daddy Love" by Joyce Carol Oates~Distressing and Daring! Dinah Whitcomb seemingly has everything. A loving and successful husband, and a smart, precocious young son named Robbie. One day, their worlds are shattered when Dinah is attacked and Robbie is taken in a mall parking lot. Dinah, injured, attempts to follow, but is run over by the kidnapper's van, mangling her body nearly beyond repair. The kidnapper, a part-time Preacher named Chester Cash, calls himself Daddy Love, as he has abducted, tortured, and raped several young boys into being his lover and as well as his 'son'. He confines Robbie in a device called an Wooden Maiden, in essence a small coffin, and renamed him 'Gideon'. Daddy Love slowly brainwashes 'Gideon' into believing that he is Daddy Love's real son, and any time the boy resists or rebels it is met with punishment beyond his wildest nightmares. As Dinah recovers from her wounds, her world and her marriage struggle to exist every day. Though it seems hopeless, she keeps a flicker of hope alive that her son is still alive. As Robbie grows older, he becomes more aware of just how monstrous Daddy Love truly is. Though as a small boy he as terrified of what might happen if he disobeyed Daddy Love, Robbie begins to realize that the longer he stays in the home of this demon, the greater chance he'll end up like Daddy Love's other 'sons' who were never heard from again. Somewhere within this tortured young boy lies a spark of rebellion...and soon he sees just what lengths he must go to in order to have any chance at survival. Joyce Carol Oates is my absolute favorite. She can write brilliantly and also disturbingly depending upon her muse. She, herself is an enigma. There is never a book of hers that doesn't capture me utterly. 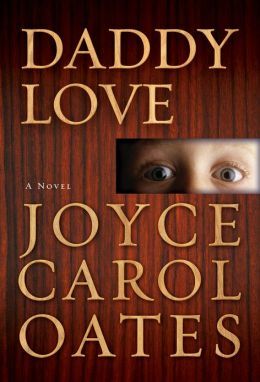 "Daddy Love" is no exception, although I have to tell you it is her most disturbing book thus far, in my opinion. I read it with fear and loathing at moments. I also cannot tell you how much a genius she is and how very much I recommend the book for those of you who can stand "strong meat." This is a book that screams a note of truth-telling for our times. If ever there were an author who can write with realism the living essence of a character, it's Joyce Carol Oates. Her characters live and breathe...scare you and charm you, and make you feel like your skim could crawl. In this novel, her characters illicit every emotion possible. I was completely taken over from the first words of the book. Every character leaps from the pages and grabs your psyche. Each one made me sick at heart. Absolutely every chapter brought me a punch to the solar plexus. You might wonder why I kept reading! This is a genius novel and a genius author at work. Do you recall the young boy who was kidnapped and then found when he was a teen-ager and interviewed on Oprah? Remember how everyone questioned how he could be allowed to use the computer and go to school and have a friend, then not find a way to contact his parents? This is part and parcel of Ms Oates's novel. It may not be pretty, but it does answer some hypothetical questions we may have about kidnapping in this country, which is at an astronomical rate. The end of this book is a shocker, I have to tell you. It was so distressing and so perfect at the same time that I closed the book having to sit there and stare out my window. I sat there for a while taking the whole book in and thinking what an amazing mind Joyce Carol Oates has and what a perfectly diabolical situation the book describes. It came alive...this book breathes reality, albeit one that's difficult to look upon. If you love a thriller you'll just be crazy for this book. If you love Ms Oates, you can't miss it. I devoured it. I highly recommend it. Reading this review makes me wanna read the book right now. I never read any books by this author, but there is always time for a first. Also, might I recommend you the book called "The Girl Next Door" by Jack Ketchum; it's loosely based on the murder of Sylvia Likens. I feel the same way Young Book Collector, I want to read this novel too. I have not read one by JCO either, but need to desperately. I will try THE GIRL NEXT DOOR too, thank you! THis review was wonderful. REally great.